The question is always: "What is my great love?" Most men have to choose between a girl and a car. 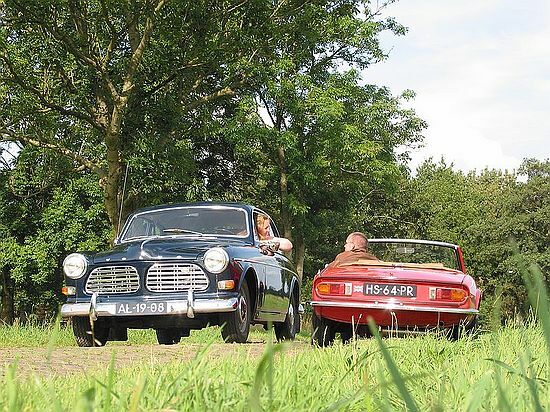 I have to choose between a 1979 Triumph Spitfire, a 1967 Volvo Amazon and my girl. I love the Spitfire in summer, the Amazon in spring and autumn, and my girl throughout the year. Every man goes through a some sort of a mid-life crisis. I thought of buying a motorcycle. After 20 lessons I failed my exam; so I developed alternative. 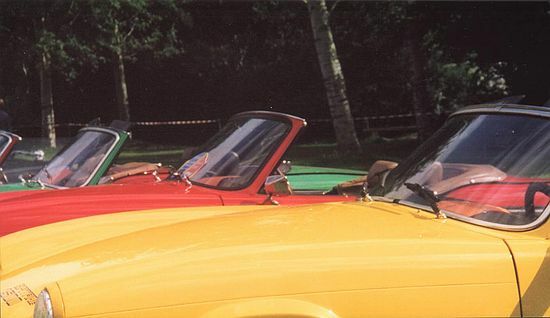 I knew Eric and his Spitfire already and decided to buy a convertible. Together we looked at several cars, an MG Midget, MX5's, Jaguars ... But after a few weeks we encountered a beautiful and lovely red Spitfire in the northern part of Holland. There are just a few more things to improve: I already have new chrome door handles and locks en new upholstery; all this only needs attaching to the car. I'm still looking for an original Triumph (Britsh Leyland) radio. If you have one (in good, working condition) and you want to sell it, please e-mail me. I have a Triumph Spitfire for driving. Not only in summer; not only in sunny weather. 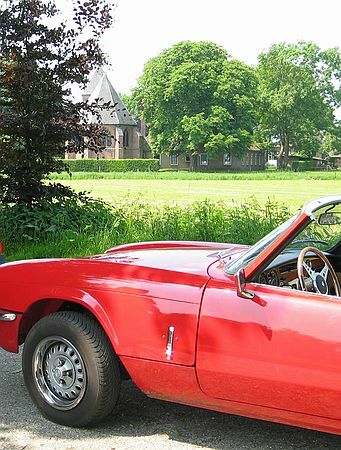 Returning from one of the annual International Triumph Spitfire Weekends, I once drove in the rain, hood down (but with a half-closed tonneau) on the Dutch highway. Another time, begin of January, it was sunny, freezing and no salt on the road. I love to drive with my Spitfire together with other cars. Of course I prefer other Spitfires (like Eric's), but other cars are welcome too. Almost every year I visit the International Triumph Spitfire Weekend (ISW), organised by the Dutch Spitfire Club. 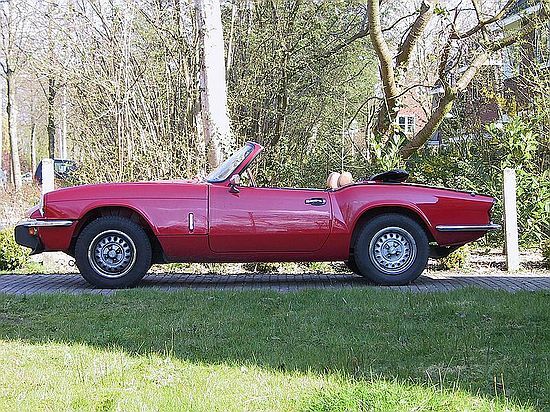 And at the end; No, I don't want to sell my Triumph Spitfire!